February, The Tour of Sufferlandria – This is a week of indoor bike riding with close to 2,500 other all over the world. Lot so of fun to collectively suffer! This will be a great way to get my bike legs started again. April, Oceanside 70.3 – This was going to be an “A” race for me but I really don’t think I will be ready to put it all out there by then. I am committed to fully recovering so that I can have a good year. This will just be a solid race where I want to have a good time. July, Vineman 70.3 – I expect to be 100% by this race so it would be great to go sub 6 hours and hopefully closer to my PR there of 5:32. October, Arizona 70.3 – I signed up for both races in Arizona so this will be a good lead up to my only full this year which is…. 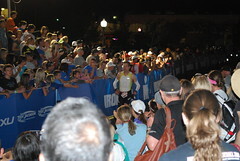 November, Ironman Arizona – I had such a great race here in 2014! I can’t wait to take another crack at it! Not on the list anymore is Ironman Boulder. I just don’t think I will be ready to have a great race by August. That, coupled with the fact that it costs mush more money and time to go to Boulder, means it will be out for 2016. I fully plan to go back another year. It is an AWESOME race. I know I can go faster on that course! The best news is that I am a Coeur Sports Ambassador for 2016 again! I feel so lucky and honored to be a part of this group. Besides the fact that Coeur is an amazing sponsor, they make me feel so awesome, and make the BEST endurance clothing around, the ladies on this team are incredible! 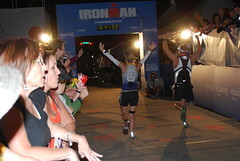 They inspire me that my goal of getting to Kona one day truly is possible. ← 2015 Halloween Candy for the Troops! Here’s to an amazing 2016 full of #heartandcourage 🙂 I’ve heard amazing things about the Tour of Sufferlandria, but have never tried it…hmmm…may have to look into this a bit more!